Sulfurzyme Supplement was specifically designed to support healthy function of the body. It contains MSM (methyl-sulfonymethane) an organic form of naturally occurring sulfur; and Ningxia wolfberry and FOS. What are the Health Benefits of MSM (Sulfur)? And Why is Dietary Sulfur Important to Support the Body? Why is Sulfur not always Utilized Properly by the Body? For dietary sulfur to be metabolized efficiently, the proper calcium amounts must be present. And remember that is takes magnesium to metabolize calcium! Ninxgia wolfberry is added to Sulfurzyme for this reason. The benefits of wolfberries are presented on the link. They contain 21 trace minerals, 18 amino acids and many vitamins. It is a significant source of miners and coenzymes that support the assimilation and metabolism of sulfur. It is safe for human and animal use; and is also available in a powder form which is great for your pets. With the powder, I usually place it right in my dogs or horses food and they eat it right up! 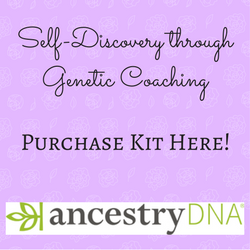 And get all the benefits of essential oils and more! This is an easy reference guide for Sulfurzyme Supplement. It will tell you how to use it and what to use it for! Buy Sulfurzyme MSM Supplement Here! What is in Sulfurzyme Supplement? MSM – A naturally occurring organic form of dietary sulfur required by your body to maintain the structure of proteins. Fructooligosaccharides (FOS) – FOS are natural nutrients that support the growth of good bacteria including lactobacilli and bifidobacteria. Ningxia Wolfberry (Lycium barbarum) – This fruit contains coenzymes and minerals that support sulfur metabolism. 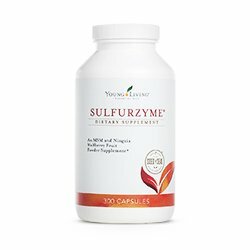 What are the Documented Uses for Sulfurzyme Supplement? Maintains structure of proteins; protect cells and cell membranes; replenish the connections between cells, and preserve the molecular framework of connective tissue. Supports the immune system, the liver, circulation, and proper intestinal function and works to scavenge free radicals. For Capsules: Take two capsules up to two times per day at least one hour before or after meals. This product also is available in a powder form that can be mixed in with food. This may be the best alternative for animal use. For Powder: Take 1/2 teaspoon with distilled water or juice up to two times per day at least one hour before or after meals. For Cats: 1/4 to 1 capsule per day. For Dogs: Small dogs 1-1 1/2 capsules per day; 1/2 to 1 teaspoon. Medium dogs 1-2 capsules per day or 1 heaping teaspoon. Large dogs 2-4 capsules per day or 1 tablespoon. For Horses: 1 heaping tablespoon 2x per day. Place it in their food as needed and they eat it right up! Note about animals: Certain oils can be very toxic to cats if they are not of high quality. Citrus products and oils in particular that are not of therapeutic grade quality! Please consult your vet if you are not sure about applying any essential oil to your pet. Then go to the Oil Shop! Available in capsules or the powder form which is perfect for smoothies and our animals. What Other Essential Oil Supplements Support Healthy Joints? Check out AgilEase and BLM Essential Oil Supplements to support healthy joints and more!